/// common .NET events with KeyEventArgs and MouseEventArgs so you can easily retrive any information you need. /// The POINT structure defines the x- and y- coordinates of a point. /// Specifies the x-coordinate of the point. /// Specifies the y-coordinate of the point. /// The MOUSEHOOKSTRUCT structure contains information about a mouse event passed to a WH_MOUSE hook procedure, MouseProc. /// Specifies a POINT structure that contains the x- and y-coordinates of the cursor, in screen coordinates. /// Handle to the window that will receive the mouse message corresponding to the mouse event. /// Specifies the hit-test value. For a list of hit-test values, see the description of the WM_NCHITTEST message. /// Specifies extra information associated with the message. /// The MSLLHOOKSTRUCT structure contains information about a low-level keyboard input event. /// If the message is WM_MOUSEWHEEL, the high-order word of this member is the wheel delta. /// away from the user; a negative value indicates that the wheel was rotated backward, toward the user. /// One wheel click is defined as WHEEL_DELTA, which is 120. /// and the low-order word is reserved. This value can be one or more of the following values. Otherwise, mouseData is not used. ///The first X button was pressed or released. ///The second X button was pressed or released. ///LLMHF_INJECTED Test the event-injected flag. ///Specifies whether the event was injected. The value is 1 if the event was injected; otherwise, it is 0. /// Specifies the time stamp for this message. /// The KBDLLHOOKSTRUCT structure contains information about a low-level keyboard input event. /// Specifies a virtual-key code. The code must be a value in the range 1 to 254. /// Specifies a hardware scan code for the key. /// Specifies the extended-key flag, event-injected flag, context code, and transition-state flag. /// The SetWindowsHookEx function installs an application-defined hook procedure into a hook chain. /// are associated either with a specific thread or with all threads in the same desktop as the calling thread. /// [in] Specifies the type of hook procedure to be installed. This parameter can be one of the following values. /// library (DLL). Otherwise, lpfn can point to a hook procedure in the code associated with the current process. /// [in] Handle to the DLL containing the hook procedure pointed to by the lpfn parameter. /// the current process and if the hook procedure is within the code associated with the current process. /// [in] Specifies the identifier of the thread with which the hook procedure is to be associated. /// same desktop as the calling thread. /// If the function succeeds, the return value is the handle to the hook procedure. /// If the function fails, the return value is NULL. To get extended error information, call GetLastError. /// The UnhookWindowsHookEx function removes a hook procedure installed in a hook chain by the SetWindowsHookEx function. /// [in] Handle to the hook to be removed. This parameter is a hook handle obtained by a previous call to SetWindowsHookEx. /// If the function succeeds, the return value is nonzero. /// If the function fails, the return value is zero. To get extended error information, call GetLastError. /// The CallNextHookEx function passes the hook information to the next hook procedure in the current hook chain. /// A hook procedure can call this function either before or after processing the hook information. /// [in] Specifies the hook code passed to the current hook procedure. /// The next hook procedure uses this code to determine how to process the hook information. /// [in] Specifies the wParam value passed to the current hook procedure. /// The meaning of this parameter depends on the type of hook associated with the current hook chain. /// [in] Specifies the lParam value passed to the current hook procedure. /// This value is returned by the next hook procedure in the chain. /// The current hook procedure must also return this value. The meaning of the return value depends on the hook type. /// For more information, see the descriptions of the individual hook procedures. /// or library-defined function name. /// [in] Specifies whether the hook procedure must process the message. /// If nCode is HC_ACTION, the hook procedure must process the message. /// value returned by CallNextHookEx. /// [in] Specifies whether the message was sent by the current thread. /// If the message was sent by the current thread, it is nonzero; otherwise, it is zero. /// [in] Pointer to a CWPSTRUCT structure that contains details about the message. /// If nCode is less than zero, the hook procedure must return the value returned by CallNextHookEx. /// procedure does not call CallNextHookEx, the return value should be zero. /// using the input language and physical keyboard layout identified by the keyboard layout handle. /// [in] Specifies the virtual-key code to be translated. /// [in] Specifies the hardware scan code of the key to be translated. /// The high-order bit of this value is set if the key is up (not pressed). 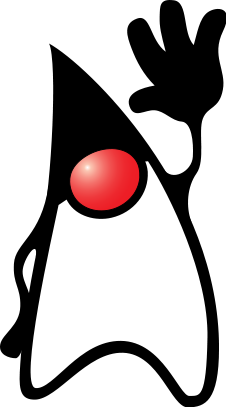 /// [in] Pointer to a 256-byte array that contains the current keyboard state. /// Each element (byte) in the array contains the state of one key. /// If the high-order bit of a byte is set, the key is down (pressed). /// of the NUM LOCK and SCROLL LOCK keys is ignored. /// [out] Pointer to the buffer that receives the translated character or characters. /// [in] Specifies whether a menu is active. This parameter must be 1 if a menu is active, or 0 otherwise. /// If the specified key is a dead key, the return value is negative. Otherwise, it is one of the following values. /// 0 The specified virtual key has no translation for the current state of the keyboard. /// 1 One character was copied to the buffer. /// virtual key to form a single character. /// [in] Pointer to a 256-byte array that contains keyboard key states. //values from Winuser.h in Microsoft SDK. /// Windows NT/2000/XP: Installs a hook procedure that monitors low-level mouse input events. /// Windows NT/2000/XP: Installs a hook procedure that monitors low-level keyboard input events. /// Installs a hook procedure that monitors mouse messages. For more information, see the MouseProc hook procedure. /// Installs a hook procedure that monitors keystroke messages. For more information, see the KeyboardProc hook procedure. /// The WM_MOUSEMOVE message is posted to a window when the cursor moves. /// The WM_MOUSEWHEEL message is posted when the user presses the mouse wheel. /// key is pressed. A nonsystem key is a key that is pressed when the ALT key is not pressed. /// or a keyboard key that is pressed when a window has the keyboard focus. /// code in the lParam parameter. /// these two contexts by checking the context code in the lParam parameter. /// Creates an instance of UserActivityHook object and sets mouse and keyboard hooks. /// Stores the handle to the mouse hook procedure. /// Stores the handle to the keyboard hook procedure. /// Declare MouseHookProcedure as HookProc type. /// Declare KeyboardHookProcedure as HookProc type. // Create an instance of HookProc. //Returns the error code returned by the last unmanaged function called using platform invoke that has the DllImportAttribute.SetLastError flag set. //Initializes and throws a new instance of the Win32Exception class with the specified error. /// Stops monitoring both mouse and keyboard events and rasing events. /// Stops monitoring both or one of mouse and/or keyboard events and rasing events. /// A callback function which will be called every time a mouse activity detected. //Marshall the data from callback. //If the message is WM_MOUSEWHEEL, the high-order word of mouseData member is the wheel delta. //One wheel click is defined as WHEEL_DELTA, which is 120. //and the low-order word is reserved. This value can be one or more of the following values. //Otherwise, mouseData is not used. /// A callback function which will be called every time a keyboard activity detected. ABSTRACT: We developed a gesture based human computer interaction interface. 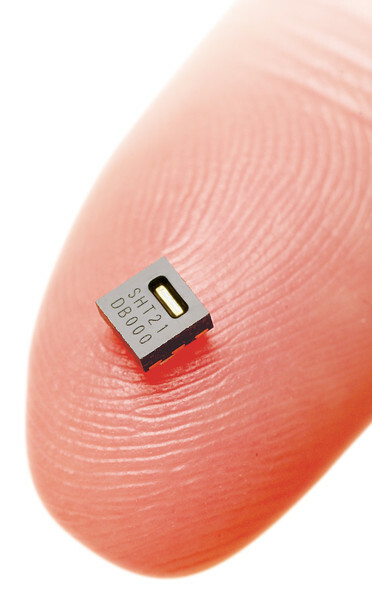 Wireless sensor node is used to capture human body acceleration data. To segment received acceleration data stream, we developed an algorithm based on sliding window and standard deviation. To recognize gesture, Hidden Markov Model (HMM) which is a machine learning algorithm is used. Series prototype applications are built to demonstrate possible gesture based applications in future. We conducted several experiments as well. Finally, we got highest 96% accuracy and lowest 17% accuracy.